My husband and I will be staying in a casa in Cojimar in two weeks and would like to come to FAC in Havana on a Sunday night. Is there a place to find a collectivo in Cojimar around 6pm and what is the most cost effective method for getting back to our casa around midnight or slightly later? Hi, congratulations on visiting Havana. It should be a great time. For getting to Havana from Cojimar, there will be many collective taxis. In the town of Cojimar, if you go on the main street you will see taxis on Ave Central and Panamericano. Some are also stopped at the parks. Getting to Havana will not be hard. Also, there are several buses that pass. Your casa landlord should be able to guide you to the easiest place near your casa to grab either the bus or a communal taxi. Both the bus and communal taxis will likely drop you off in Old Havana, and then you would have to take another bus or taxi to get to FAC. If you speak Spanish, you can communicate with the taxi driver and see if he will take you all the way to FAC. If it was me, I would simply offer the driver a bit of extra money and ask him to take me all the way to the FAC. The ride from Cojimar to Havana would be 25mn each or less (1 cuc each or less). For an additional 1cuc each, he should take you all the way to FAC. So 4cuc for the whole trip. This would be the lowest cost. 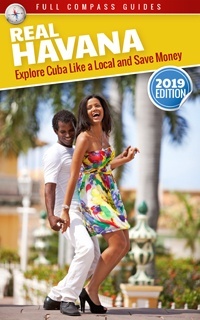 I would be willing to pay up to 10cuc total for this trip, as it will be much more convenient to take one taxi rather than switch taxis in Old Havana. 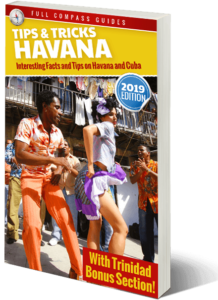 If you find a taxi only going to Old Havana, then get off in Old Havana and then take another communal taxi near the corner of Neptuno and Prado Street that will take you along Linea in Vedado. Ask the driver to drop you off at FAC. This ride from Old Havana to FAC will cost only 10mn (50 cents CUC) each. The ride from FAC back to Cojimar at midnight will cost more. I doubt you would find a communal taxi on a midnight on Sunday. You would probably have to bite the bullet and pay an official taxi. The cost would likely be about 25 to 30 cuc for this trip. Also, there are usually come old car taxis hanging around FAC. You might be able to negotiate a cheaper fare with the driver, maybe in the 15 to 20cuc range. Before doing anything, ask your landlord. Sometimes the landlords know guys in the neighborhood who will drive for less. Perhaps somebody in the area is also going to FAC that night and you can car pool.